STANDARTINFORM took part in the strategic session of the Council of GOST R on youth policy which was held on January 14-18, 2019 in Noginsk district, Moscow region. Chairperson of the Council on youth policy, Head of GOST R Alexey Abramov performed with an opening speech. Deputy Heads of GOST R Sergey Golubev and Anton Shalaev took part in discussions of projects as invited experts and they focused on matters in the field metrology and standardization. Representatives of GOST R system, subject technical committees and business community also participated in this event. 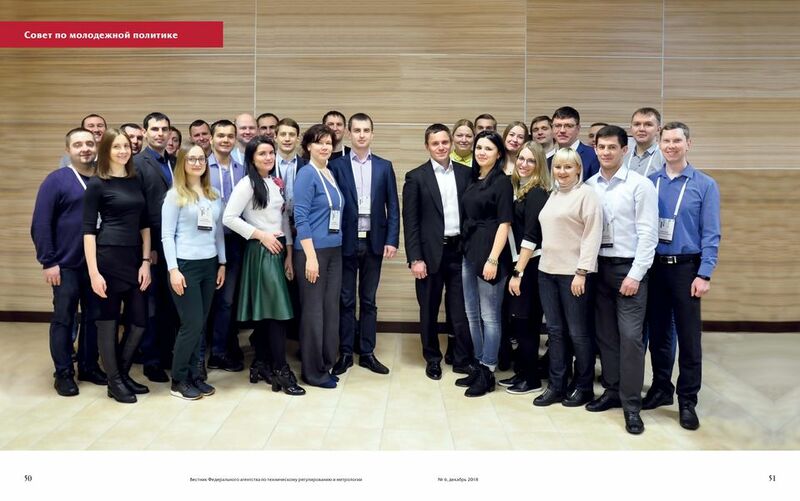 More than 30 young specialists from different regions of Russia took part in this session. Project «Digital platform of development of standards» was recognized as the best following the outcome of the vote of the panel. 11 participants of this project were offered to continue their work in the framework of implementation of GOST R Strategy-2025. 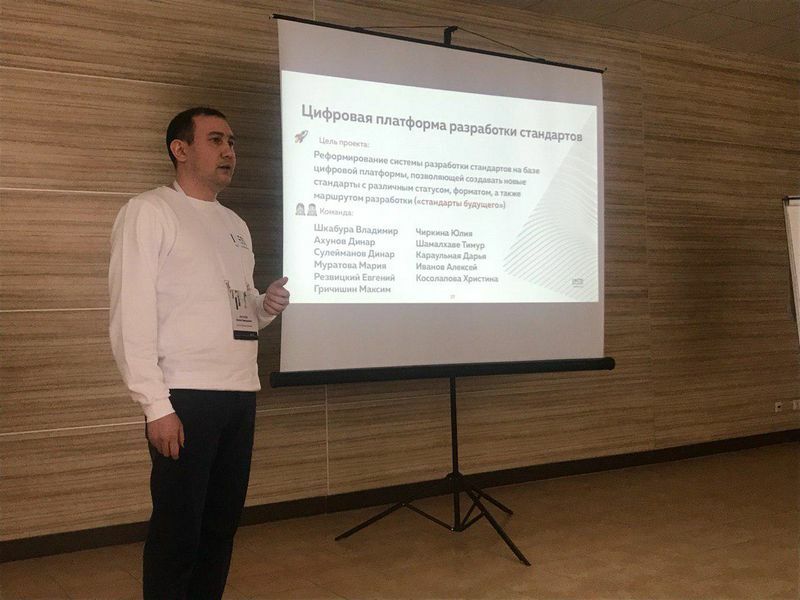 Dinar Akhunov, member of the Council on youth policy, Director of the Department of Organizational, Analytical and Personnel work of STANDARTINFORM was moderator and speaker of the above-mentioned project. Main aim of this project was improvement of system of development of standards on the base of digital platform enabling to create new documents with different status, formats. Executive Secretary of the Council, Leading Specialist of the International Cooperation Department of STANDARTINFORM Christina Kosolapova told that first strategic session in project groups was organized in December 2017 in the framework of series of formal sessions of the Council. After completion of this session, it was agreed to develop creative ideas concerning 2 key issues - «How to change the situation in general» and «How to involve sector experts from business in the process of standards development». She also highlighted that 5 offsite events were held and more than 150 young specialists from all federal regions took part in these events for the purpose of fulfilling of the above-mentioned tasks. More than 50 issues were examined during all sessions of the Council on youth policy. 4 of them were discussed during the session in Noginsk district.